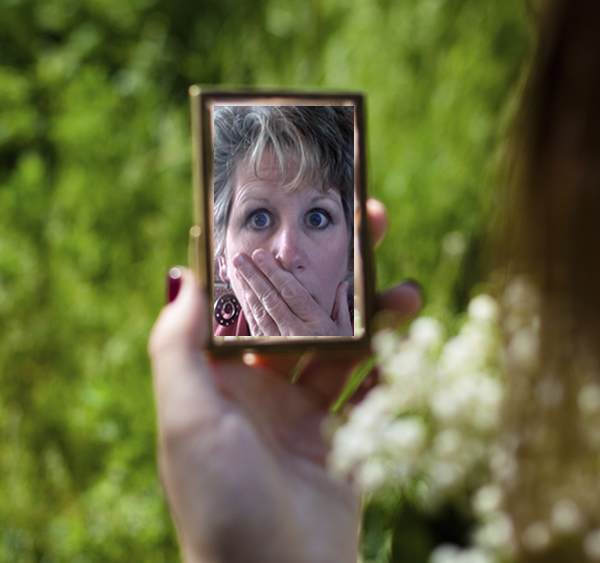 IRL*in real life with Jamie Jo: Who's that in the Mirror? Hilarious post, Jamie Jo. I have to confess I've already started turning into my mother! Only 47 and it's happening already! I'm sure I'm turning into the "church lady" too! We'd better just keep laughing, don't you think? Absolutely! Let's keep reminding each other to keep laughing, too, okay? In my case, I have to admit that turning into my mom is mostly a very positive transformation. Even dh agrees. Great post, and so true! Several times lately I've been thumbing through photos and have thought I was looking at a pic of my mother, when in fact it was a picture me! Yikes! I thoroughly enjoy your writing Jamie Jo! You are gifted. I loved this post. It is so easy to see how haaarrrddd! my life is and want to complain. I am learning that yes I went through, or am going through hard things and sometimes someone else's hard things don't look so hard. But God has given us each the grace to go through our OWN trials and that is what we need to lean into. My friend's trials are hard for her and I want to stand with her and support her. Thanks for helping me see myself in that mirror and laugh a bit. Bless you, Linda. Your affirmation means a lot since it's your memoirs that inspire me so often. Denise, so true about others' trials. One reason I purpose to remember the hard times is not to compare with others, but to truly sympathize with them in their difficulties. I choose to not forget how hard life was with little ones at home demanding my attention, and not forget how hard those early years of adjustment were, etc..
Glad you can laugh at the image in the mirror. It is funny sometimes. Love it! I forgot who said this, but how true: "I have seen the enemy...and it is me." Thanks for another very real post!